The finished version of my latest watercolor painting, “Fire One”, and the progress shots I took while creating it. 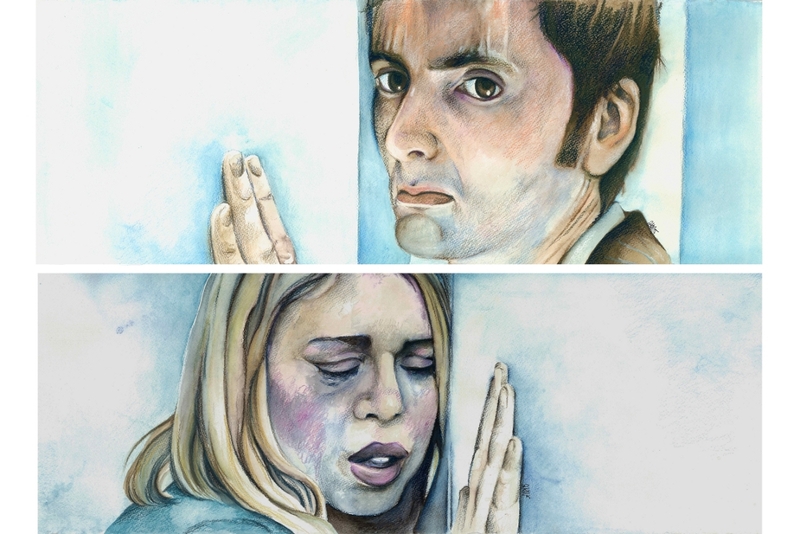 “Doomsday” is actually 2 paintings (one of the Doctor, and one of Rose) that have been framed separately. Each is 11"x30" not including frame and mat size. I felt so many feels while I was working on this! 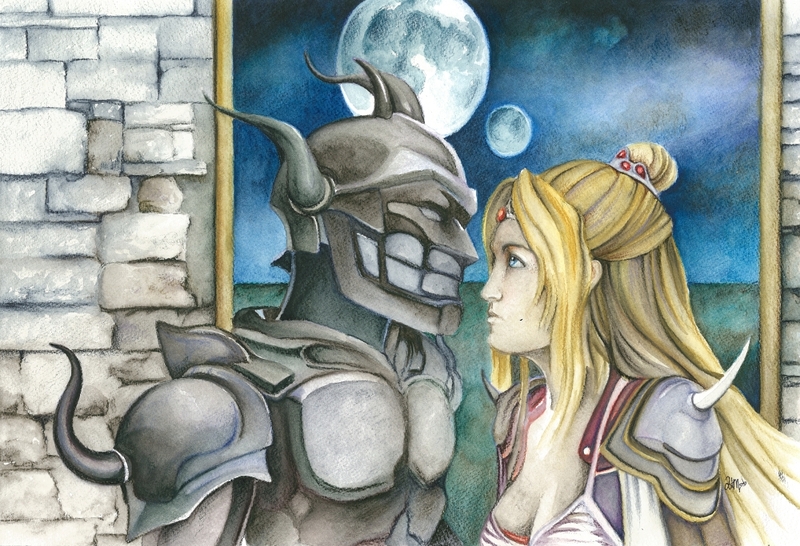 FFIV is the first RPG I remember getting sucked into, and that was when I was 6 or 7. While I was painting it, I listened to the game soundtrack and just had a great nostalgia-filled time. I will love Cecil and Rosa forever!